Injured pedestrians lay sprawled out on the sidewalk, recalling recent terrorist attacks by vehicles mowing down pedestrians, but there was no indication that the Copacabana incident was deliberate. RIO DE JANEIRO: A speeding car ploughed through evening strollers on a crowded sidewalk of Rio's famed Copacabana beach on Thursday in an apparent accident, killing an 8-month old baby and injuring 15 people, police said. The G1 news website reported the driver, who fled the scene but was quickly arrested by police, said he had an epileptic fit, and medicine for epilepsy was found in the car. An officer at the Copacabana police station confirmed the baby's death by telephone and said 15 injured people were being treated in hospital. He did not know if the driver's epilepsy fit had been confirmed. 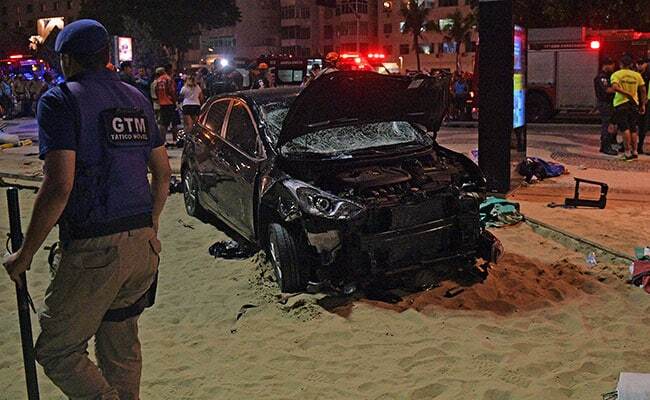 Witnesses said on the Globo News network that the racing car shot over a bicycle path and across the sidewalk, hitting people and crashing through tables and chairs, before coming to a stop on the sand of the beach. 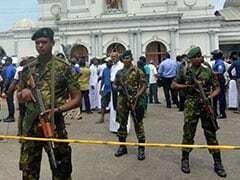 The smashed widescreen and dented roof indicated the force with which the vehicle had hit people. The sidewalk of the Copacabana crescent-shaped beach is a favorite summer evening walk for Rio residents and tourists that have begun to arrive in Rio ahead of Carnival celebrations next month.